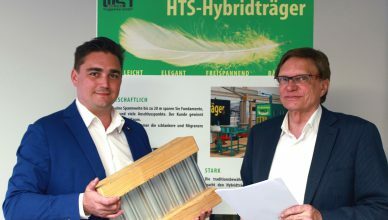 WST Tragwerke GmbH, headquartered in St. Wendel – Bliesen, is engaged in the development and marketing of hybrid structure systems for the construction industry and trade. 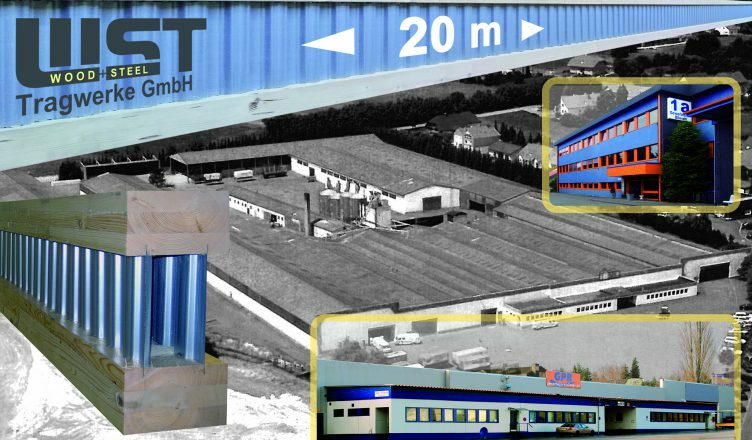 WST Tragwerke GmbH is currently working on developing Nailweb/HTS beams, design of the connectors and system solutions for hangars, storey addition, and roof and wall panels. Further, a hybrid house is in the pipeline. An HTS beam can bridge spans of up to 20 m without support, depending on the loading width and load. The system is excellent for pre-fabricated flat and pitch roofs, ceiling boxes and for wide-span purlins for commercial and industrial buildings. WST Tragwerke GmbH has a new machine dedicated to manufacturing beams at its research department in St. Wendel – Bliesen. The system produces beams up to 67 cm thickness and lengths up to 22 m.
WST Tragwerke GmbH is using the new facility exclusively for R&D. As such, the facility is often unused for many days. We are looking for trade companies in Saarland interested in testing WST products. We have decided to offer our facilities in Bliesen on a daily basis to prefabricate beams for building projects. The hall is 2,000 m² and in addition to the WST system has a production table, an overhead crane, various cutting machines and a social room. If you are interested, you can rent the facility on a daily or weekly rent basis and manufacture HTS beams for your own projects. You have the opportunity to manufacture beams, or complete ceiling, wall and roof elements. Two loading docks allow loading to take place no matter what the weather. Our technical support team can assist you in all construction issues and re-designing solid timber systems into hybrid structure systems. We look forward to hearing from you and offering advice about the benefits and competitive advantages that can be achieved through hybrid beam structures.